The different grape varieties are fermented separately before undergoing malolactic fermentation in new and seasoned oak, before selection, blending and bottling. 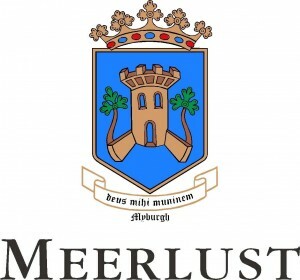 The 2011 Meerlust Red was barrel aged in 55% new Nevers and 45% second-fill casks. An intense, dark purple colour with a violet rim; bright and vivacious in the glass. The nose is expressive with powerful cassis, plum, exotic spice and hints of floral aromas. On the palate it is medium-bodied with intense flavours of crushed black fruit, cassis, vanilla and dark chocolate. The tannins are soft and silky, the acidity fresh, the flavour profile focused and linear. The wine has a persistent and long-lasting aftertaste. Casseroles, venison, game or cheese dishes - a good curry wine. Serve at 18-20°C. Cellaring potential: Up to 2025, provided wine is stored in ideal conditions.